Back with one more interesting post . 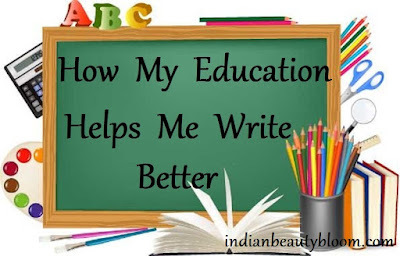 Today I will share “ How my education helps me write better ” . I started blogging some three years back , before that I was writing reviews for other sites like Mouthshut.com , Userreviewd.in etc . Writing was my hobby in school days , I used to write short stories , Poems etc . Regarding my education , I am a Graduate in Physics Honours , and after that I did three years Diploma Course in Computer Applications , that was a turning point in my career as I became more Tech Savvy and gained more knowledge on Computer programming , Languages and many more things related to this vast computer education. 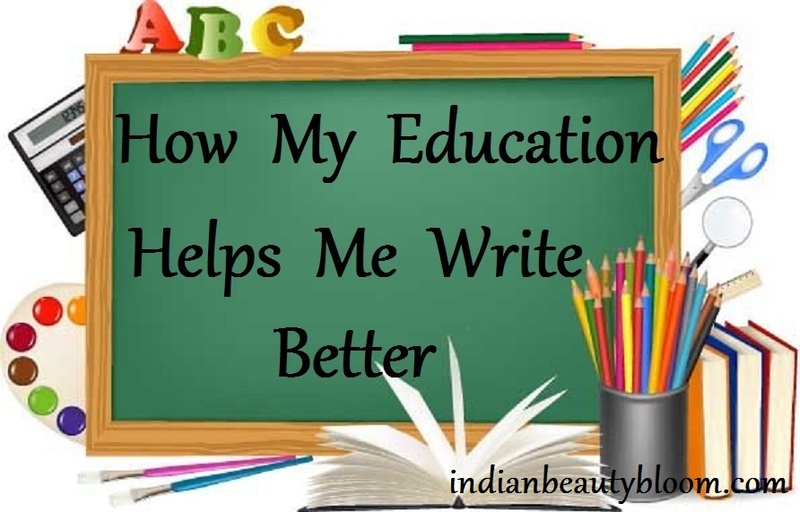 My Education had definitely helped a lot in my blogging career . I made my blog myself without any ones help . Starting from the scrap I did everything myself taking help from some Youtube Videos . Since I had good knowledge on Computers , I understood everything easily including the HTML codes and was successful in setting up my blog on Bloggers and later on shifted it to Bigrock to have my own domain . When it comes to editing images , watermarking them that was also quite easy for me to understand as was doing so in my lab classes during my course . Again when it comes to the writing part , Since good in English and having Science background can write good on some topics . Like Niche of my blog is Beauty , most of the times when we are writing product reviews , we need to write in detail on ingredients present in the beauty products ( Skin care or Cosmetics ) . Most of the ingredients have chemical name , being a Science graduate it’s easy for me to understand all those terms and write about them . Also regarding the ill effects of harmful chemicals present in these products and how they are causing health problems to users can be written better by a person who has in depth knowledge on it. So thankfully have some good knowledge on it and so can write in detail about it . So this way my education is helping me to write better . I also used to read lot of books , magazines , newspapers during my school & college days , even after that , so that helped a lot to gain knowledge on varied topics , improved language skills (Specially English ) as most of books I have read were in English . That’s helping me now to write better as now I have better command over English Language and it’s writing skills . 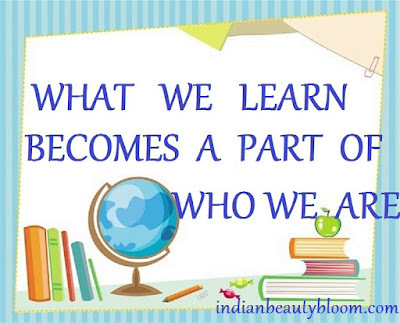 A proper and good education not only helps us to grow in our Profession but also helps us to be a better person as we are more aware of basic manners & etiquettes , we are more exposed to the outside world than our elder generation . So it’s true that if we give Right Skills & Education to a person He/She can conquer the world . Hope you all liked my post , Would like to read your comments on this topic . Allaboutthewomen.Com Fashionablefoodz.com and should not be repurposed , republished or used otherwise . The content herein is owned by the Blogger and Superbloggerchallenge is not responsible for any sort of infringement caused .